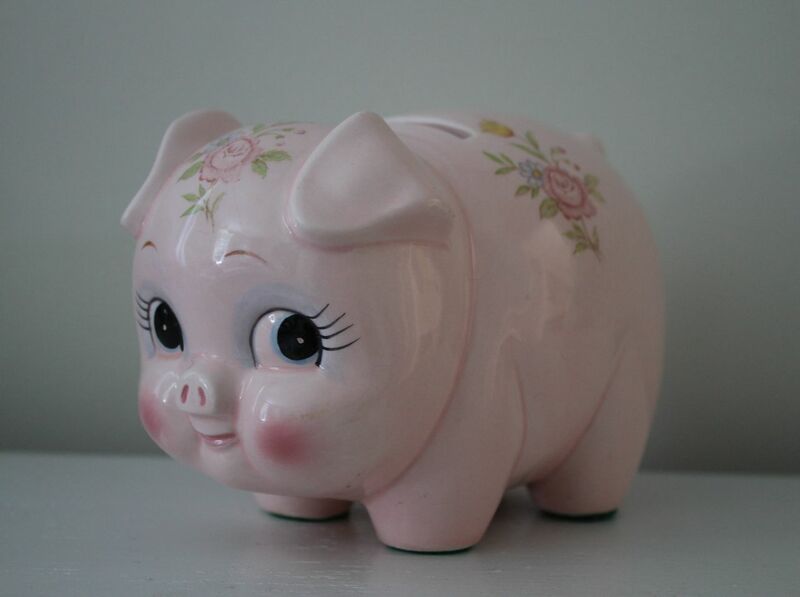 this sweet pink piggy bank was a recent find from our local transfer station, I just love it! Her big eyes and chubby tummy are the perfect place for little hands (and mind) to learn about the joys (and benefits) of saving money…here are also a few other pieces I’ve saved money with – being a frequent shopper at our local ‘freebie barn’ has certainly added to my savings as well as the planets! This chair (below) I picked up a few years ago . I love the lines and the thrush seat. The grass blind behind was also a score a few years back, I use it as a wall covering on a small wall in a long hallway – it really breaks up the space and warms it. 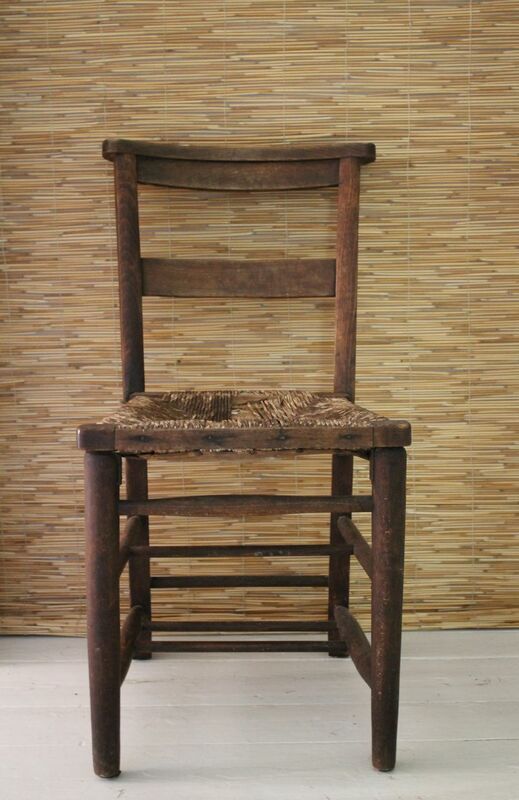 The bamboo chair (below) was a great find too. I used old beautiful ticking (I picked up the ticking at Brimfield years ago) to recover the seat (very simple project – fabric, scissors, staple gun). I also found the fabric for the curtains at our freebie barn. They originally were one large curtain, I simply cut it in half and finished the edges – voila, two curtains! 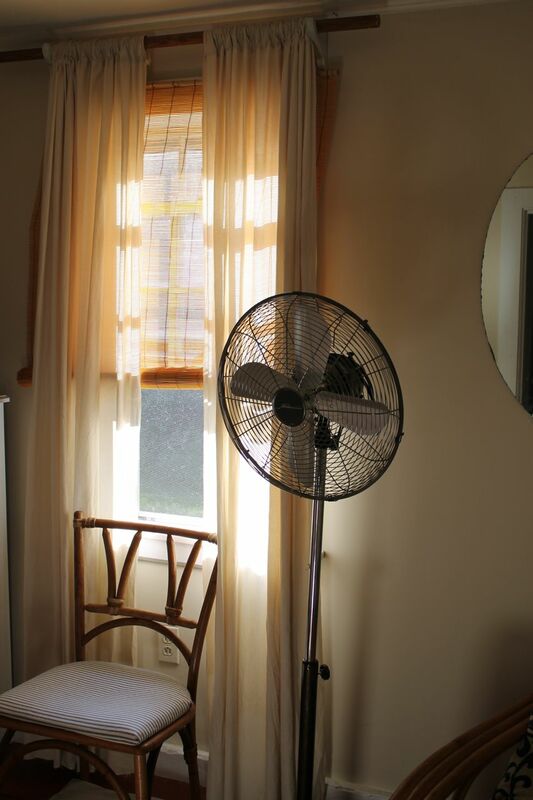 The floor fan I found last fall and it has certainly come in handy this year and the bamboo blind, also a freebie – I found it in its’ original packaging, it was never opened. Lastly, the oval mirror on the right, also free. Wow! 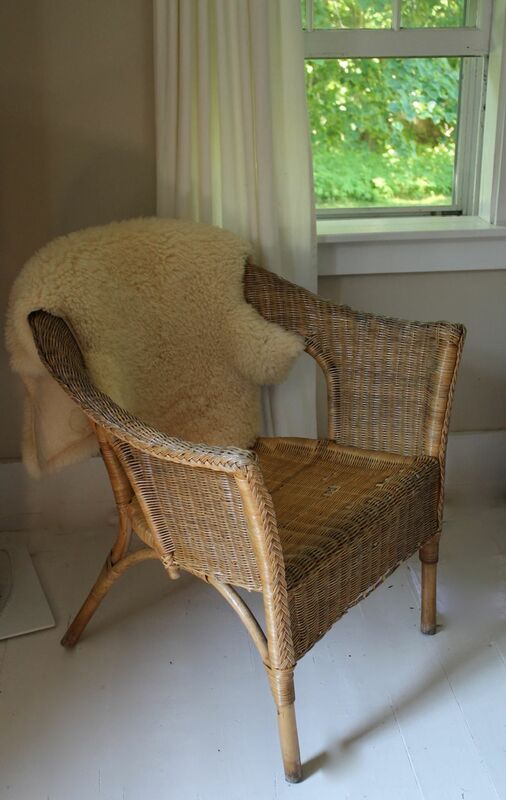 This entry was posted in everyday life, home, inspiration, photography, simplicity, treasure trove and tagged collectables, decorating for free, DIY, repurposing, saving money, simple living, sustainability, ways to save money, wicker chair by ripe red berries. Bookmark the permalink. That little piggy bank is so sweet. They are all excellent finds, but the piggy is just enchanting!